ReCrochetions: Learn To Crochet Sampler Classes at Blizzard! Learn To Crochet Sampler Classes at Blizzard! Do you know the basics of crochet, but want to expand your knowledge of stitches and pattern reading? Want to learn to "read your stitches" so you can fix mistakes? 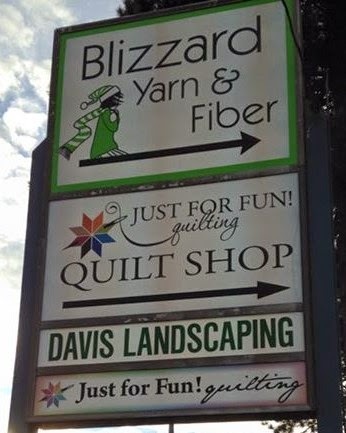 This month I started teaching an ongoing class series at Blizzard Yarns and Fibers in Vancouver, WA. Each week we are making one square from the Sampler in my first book, ReCrochetions Presents: Rowan's Learn to Crochet Sampler. The goal with this book was to include all of the various things that commonly come up in crochet patterns, with a focus on the various insertion points. I have a great class of 6 regular students (plus a few drop ins). 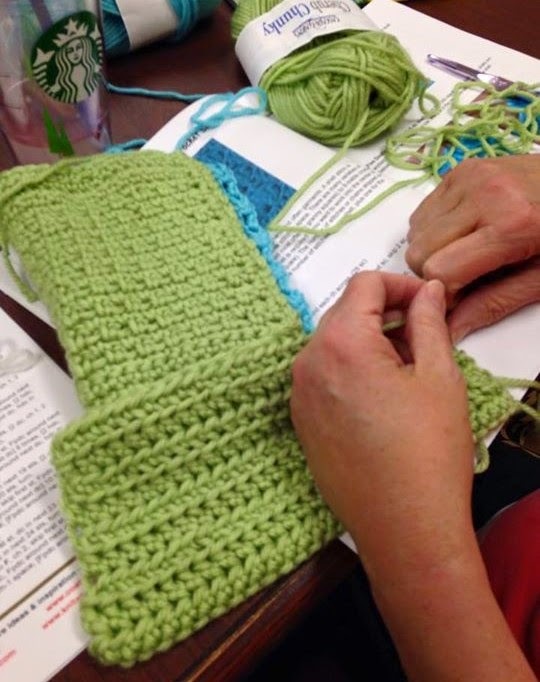 In January, we learned everything from the basic chain to basic stitches (single, half double, and double crochets). Tonight we will be branching out into shells. at Fourth Plain and Andresen! 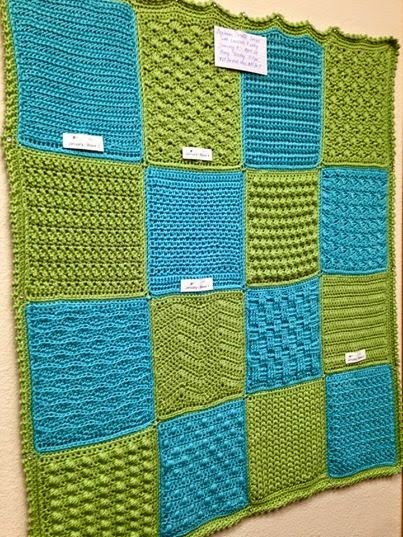 Sign up for all 4 classes each month for $80, or pick and choose the stitches you want to learn for $25 per class.